The photos taken last Friday before the Sixth Form Leaver's Assembly are now uploaded and available to order! MAKE SURE YOU ORDER BEFORE THE CLOSING DATE OF NEXT MONDAY 4th JUNE!!!! Kick starting your career and jumping on the ladder can be an exciting time. You’ve finished your time in education and you’re ready to make your mark on the working world. Not to mention the prospect of earning your own money. But where do you begin? And what do you do if you have no industry experience? Below, we’ll talk you through some helpful advice on how you can get on the career ladder with no industry experience. Some employers are more than willing to give new workers a chance, regardless of whether you have relevant experience or not. If you show that you have a great attitude and a passion for your chosen line of work, you’ll easily make a great impression and prove that you’re worth investing in. This should come across in your CV, cover letter, online profiles and in your mannerisms when you speak with or meet potential employers. In order to showcase your passion and abilities, you’ll need to have a winning CV up your sleeve. If you are lacking in relevant industry experience, your CV should focus on your key transferable skills. For example, most companies want employees that are great communicators, are highly organised and that can use their initiative. Therefore, focus on explaining how you’re proficient in these key areas as well as any others that they’ve outlined in the job description. you out. After all, it’s not always what you know, but who you know too. Having a strong network ensures that you’re quickly able to identify opportunities to gain relevant work experience. For example, does one of your mum’s friends work in the industry you’d like to get into? Could your cousin get you work experience in their office? Consider what’s going to help you out and be proactive. It might seem nerve-wracking but it will look great on your CV and will be a good talking point during interviews. Gaining work experience or taking part in an internship can help to bulk out the experience section of your CV. Especially if it’s seriously lacking. Keep an eye out for relevant opportunities and look to find short gigs for yourself. This could be as simple as emailing local companies and asking if you can shadow a member of the team for a few days. The more relevant the experience, the better. For example, if you’re looking to work in communications or PR, why not write guest articles for free on a certain blog, or even set-up your own one. If you want to become a teaching assistant, gain experience in child mining or supporting young people attending youth clubs. As well as work experience, volunteering can help you to get on the career ladder. Whether that’s in a charity shop dealing with transactions and customers, or helping out with an after-school sports club, employers will recognise your commitment to building upon your skillset. Many charities and other organisations are regularly looking for volunteers to support them on a day-to-day basis and in most cases, you can fit this around your existing schedule. It may even be one night a week, but it all helps towards building upon your experience. Careers fairs offer a great opportunity for you to meet and talk to, potential employers. There are plenty of events across the country so have a look to see what’s happening near you. You can also make a list of the employers that will be exhibiting and note down the ones that you’d like to talk to. Don’t forget to dress smart and take along a copy of your CV – you never know what opportunities may arise! There are plenty of ways to get on the career ladder with no experience, so don’t beat yourself up if you’re worried that you don’t have what it takes. Take our advice on board and you’ll soon be able to build upon your skillset and find a suitable job in no time. ACI Coding for Girls Camp coming to Watford! ACI Worldwide delivers electronic banking and payment solutions for more than 5000 financial institutions, merchants, billers and processors around the world. We have offices worldwide, with three in the UK, one of which is in Clarendon Road, Watford, housing around 150 employees. ACI in Watford is planning a Coding for Girls Camp to take place on Saturday 9 June 2018 from 9am to 1pm at West Herts College in Watford. If the program is successful, we may also run it in September/October 2018. The camp has been very successful in our US offices and so we are bringing it to the UK. It is a high-energy program, designed to introduce 11-14 year old girls to the world of technology and careers in the high-tech world. It is a free, one-day event designed for girls in year 7 through to year 9. All camp supplies, including computers and lunch, will be provided by ACI. It will be a fun environment for attendees to make new friends, build real-world skills and get a crash course in computer programming, including HTML, CSS and Java. If you are interested please see Mrs Maguire as soon as possible. 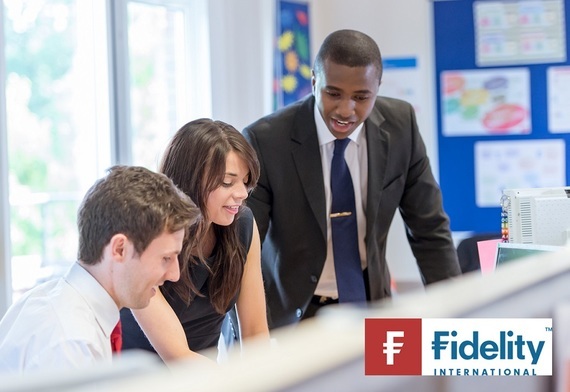 All Apprentices at Fidelity International are Valued, Developed & Rewarded. Our apprentices start their career as part of a global company with a long history, renowned for integrity, innovation and excellence where everyone who joins is valued as a person first and an employee second. They will receive world class training and development that will enable them to exceed their potential and enjoy outstanding career success. The starting package will grow as they progress through their apprenticeship to reflect their personal and professional growth. Client Services - managing the strongest possible relationships with our wide range of clients. Compliance - Providing consultancy, advisory and monitoring services to our UK, European and Asia Pacific businesses. Retirement Services - Connecting with people as they plan for their or their family’s future. We look for keen learners, with good communication skills and the ability to work well in team. All training is fully funded and provided on top of a minimum starting salary of £17,500 (as part of a wider package). Roles will be based at either our London or Kingswood offices. Apprentices, Interns & Graduates may only be 10% of our employee population but they are 100% of our future. The deadline for applications is Sunday 6th of May so please apply ASAP. 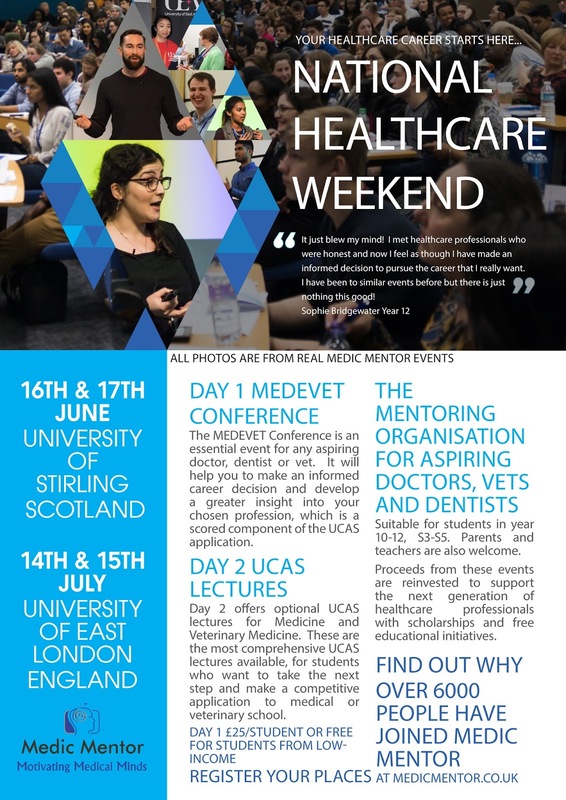 If you are in year 10, 11 or 12 and interested in a career as a Doctor, Vet or Dentist, please see the information here in this flyer, which is also on display in the Discovery Centre on the careers noticeboard. A reminder that we finish the Spring Term on Thursday March 29th at 12.30pm.The dedicated school buses will be here for 1230 but if your child catches a public bus he/she will need to check the departure times for their own buses. Townsend School 2014. . Simple theme. Powered by Blogger.